KIN is an arts collective of 16-25 year olds with experience of the imprisonment of either a parent or sibling. 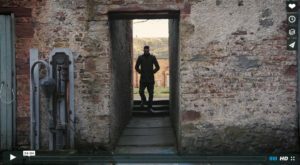 It is an ambitious project – seeking to support the experts in familial imprisonment to tell the stories of what that’s like in order to open up the conversation across Scotland. Each member of KIN has our own experience, our own reflections and our own hopes for the future – for ourselves and wider society. By creating art that is informed and inspired by our experiences, we hope to engage a wide variety of audiences in thinking, discussing and creating together to shed new light on an issue that affects many young people in the country, but is so often unspoken, unseen and unknown. This video is our introduction; our starter for ten. Come with us as we go deeper and further into this issue, creating art that stimulates thought and is a catalyst for change. Please share this video – talk to your friends and families about how it makes you feel. Create your own art and share it with us. 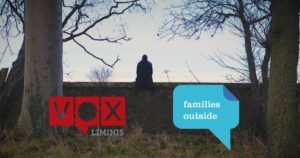 KIN is a partnership between Vox Liminis and Families Outside.